Welcome to the ibis budget Marseille Vieux Port hotel. Its location beside the Old Port makes it the ideal base for a visit to the beautiful Phocean city of Marseille. Enjoy our modern rooms and our new buffet breakfast. Welcome to Marseille! 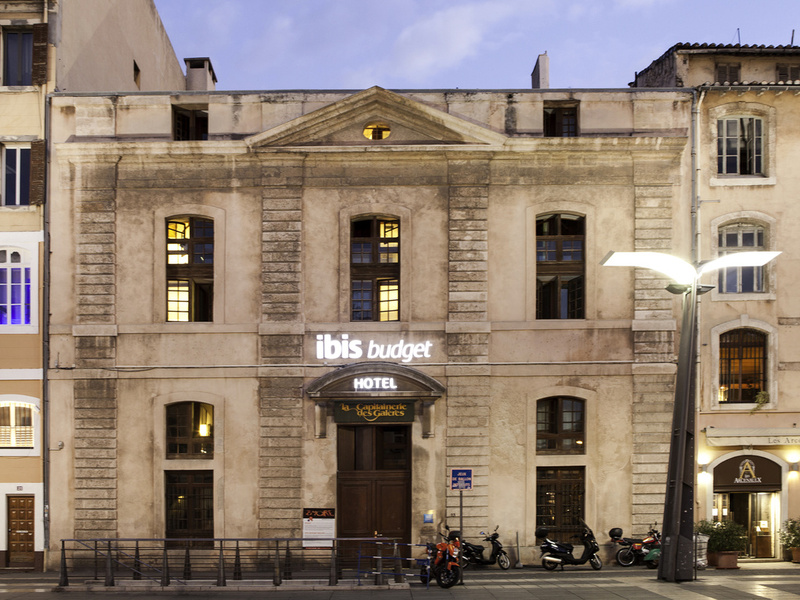 The ibis budget Marseille Vieux Port hotel invites you to take a break in Marseille. Enjoy the contemporary ambience of one of our latest-generation air-conditioned Cocoon rooms for a budget price. Guests can take advantage of our bar and lounge for a mom ent of relaxation. Park your car securely in the guarded private car park, just a 2-minute walk from the hotel. Unfortunately the air conditioning broke down and was not fixed for the 3 nights we were there. The first night we tried to make do with an open window however the hotel is on a semi busy street and loud noises kept us awake. We requested a fan on night 2 and we were given a water based fan (the room only gets as cool as the water you add to the fan and so we were waking every few hours to replace the warmed water). We gave up on night 3 and unfortunately felt very sleep deprived. On asking management for help or advice on any alternatives to taxi transfers to the airport we were brushed off. The breakfast is very basic and not replenished quick enough for the number of people attending. All in all definitely a budget stay. I will come back. Positive experience. i booked 10 room in your hotel but we faced to problem we send request to refund booking our to change hotel to ibis style in the same area your reservation department wasn't helpful to be more flexible with our company we lost our clients and we lost amount of 1065 EUR we are disappointed about the service . BASIC CHEAP CLEAN ACCOMMODATION,VERY CLOSE TO A NEW SQUARE ,WHICH IS GOING TO BE VERY ATTRACTIVE. Overall comfortable. Room was clean. Some problem with noise due to the television in the occupied room next door (guests went out for the evening and left the TV on with volume on high). Hotel is ideally located 300 metres max from seafront with plenty of choice of restaurants . Attractive price offered. Comfortable rooms , very clean and well heated . Well located, quiet, good price. Excellent option if you are most of the time walking around, can come to rest and of course back in the evening to sleep. Close to very good restaurants and sightseeing. Close to metro and buses. Everything in the hotel was good except that we got bitten by bed bugs. I did let reception know. The hotel punches above its weight. The location is right in the middle of things. The staff was really helpful and kind. It's not the Sofitel ... but it surely does not cost like it. We were impressed by the cleanliness and organisation. We'll be back. Noisy at 2am and in the morning. Great reception team, very friendly and helpful. Clean and tidy hotel. A little noisy, easy to hear other rooms next door and above.